In his recent live-stream interview with Laura Shin for the crypto journalist’s Unchained podcast, Ethereum co-founder Vitalik Buterin has shared his views on the current situation on the crypto markets and answeres a number of other crypto-related questions including the value of Ethereum (ETH), industry’s regulation, future of ICOs and the work of Satoshi Nakamoto. Now regulators as well as businesses and developers have started to realize the nature of cryptocurrencies and the fact that digital assets have their value. What’s more important, now they understand that blockchain applications can bring significant benefits to people’s lives. Buterin insists that despite the fact that many people try to claim that prices do not matter at all, it is absolutely not so. Prices play a crucial role in the network’s growth. “I can tell you what things are clearly important about why the price being higher rather than lower is good. One of them is obviously security. If the price is zero, then the network can’t be secure. That’s true in proof-of-work and proof-of-stake,” explained Vitalik. Moreover, many Ethereum-based projects hold a significant part of their funds in crypto. That’s also one of the reason why prices matter. If the price increases, it means that they are more funded. Buterin agreed that success of Ethereum greatly depended on the fact that the network was used as a launchpad for a large number of ICOs. Nevertheless, he highlighted that even without Ethereum ICOs would have taken place and developed. The only bad thing about ICOs, according to Buterin, is scam. A lot of projects turned out to be scammy and weak which was rather negative for the reputation of other ICOs. 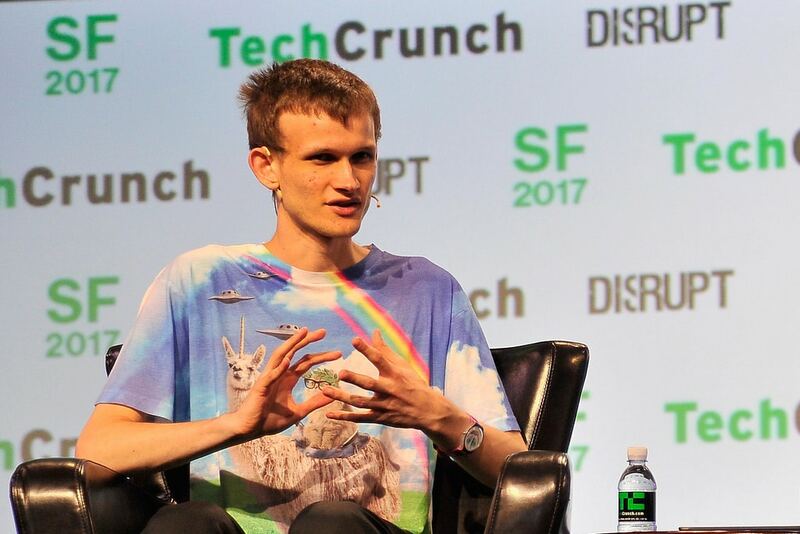 “Satoshi had a really hard job and could not have predicted which way the ecosystem would have went, [that it] would have turned into something more than a science experiment, ” said Buterin when asked about his potential recommendations to Satoshi that he would made if he could go back into the past. He also joked that he would advise the Bitcoin creator to build Ethreum 2.0 following the link on GitHub. And it’s not the first time when he tried to show the dominace of ETH. Now so long ago he compared ETH with a samrtphone while BTC wasnamed just a calculator.